Fox News chairman and CEO Roger Ailes is known for stoking fires in the right wing media, not showering liberal talk show hosts with praise. That’s why it’s awfully surprising that Ailes joins many prominent political voices and media folks who offer compliments on the dust jacket of Maddow’s new book, Drift: The Unmooring of American Military Power, out on March 27. 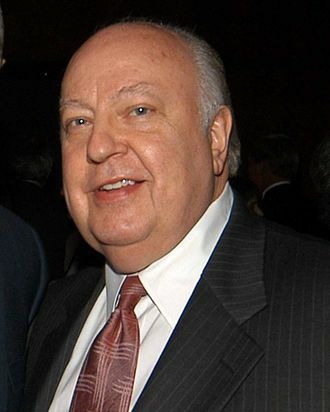 Ailes wrote in part, “People who like Rachel will love the book. People who don’t will get angry, but aggressive debate is good for America. Drift is a book worth reading.” MSNBC’s Maddow often bantered with conservative analyst Pat Buchanan on air (before he got axed), almost always disagreeing, so maybe she’s the type who collects friends, not enemies.